One keyboard to rule them all? Remember BlackBerry? They haven't forgotten about you, and are apparently hard at work on a new smartphone that could combine the best of software and hardware keyboards in one device. BGR is back on the BlackBerry beat again with the first rumblings of an all-new smartphone out of Waterloo with the code name "Windermere" - but it may live or die at the hands of an outside partner. According to "multiple trusted sources," the top secret Windermere project is something of a departure for BlackBerry, with a wider frame that consolidates the hardware keys into three rows instead of four. But that's not all: The loose-lipped sources claim the physical keys will also be imbued with the power of touch sensitivity, allowing for gesture-based typing described as similar to the Swype app on Android. 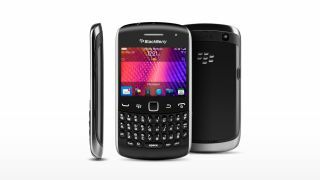 This wouldn't be BlackBerry's first foray into gesture typing - after all, the BlackBerry Z10 and BlackBerry Z30 handsets are capable of accessing numbers, symbols or accent keys the same way, only with an on-screen keyboard. The unique form factor may also extend beyond just physical keys, with BlackBerry said to be toying with the idea of running "two apps on screen simultaneously side-by-side." BlackBerry fans may want to cool down any impulse to buy, however. The fate of Windermere may rest with a single unconfirmed "large partner" who could put the kibosh on the hardware before it ever leaves the prototype phase. Assuming this rumored partner likes what they see, we could be looking at the first significant revision to the once-mighty BlackBerry brand in quite some time. Speaking of unique smartphones, read TechRadar's take on the LG G Flex!